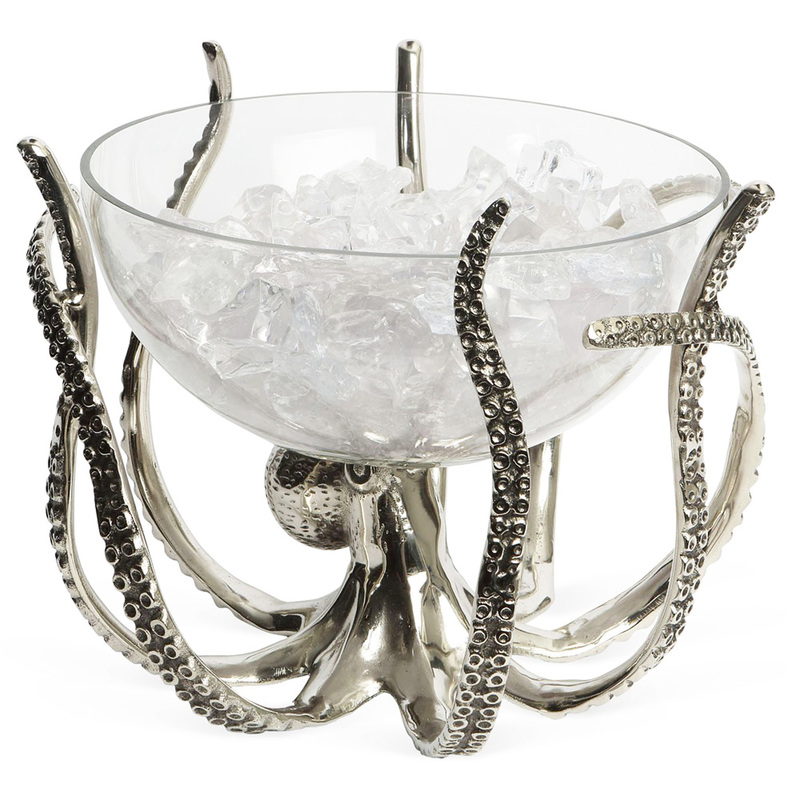 A stunning centre piece for any table or bar top, this Octopus Stand and Glass Bowl can be used to serve not only drink but food as well. 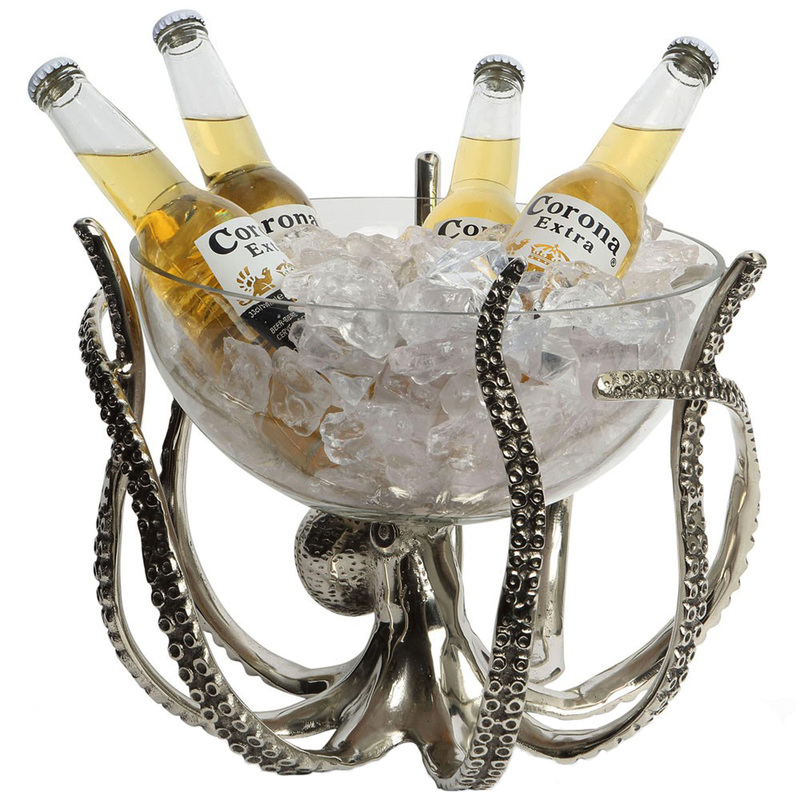 Fill the bowl with ice and add your favourite bottled beer or soft drinks and allow to chill to optimum temperature. Alternatively it can be used to serve and present foods such as salad and pasta, perfect for sharing around the table. 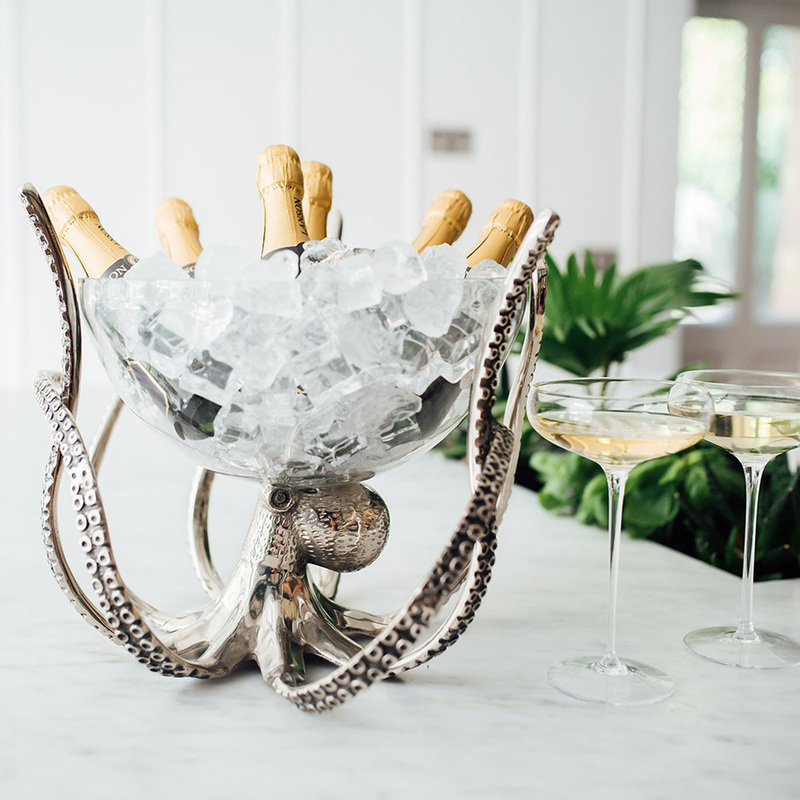 Suitable for use in commercial and home bars, this drinks cooler is sure to grab your guests attention. Please note: Each stand and glass bowl are hand made so the appearance may vary.  Please note: Each stand and glass bowl are hand made so the appearance may vary.